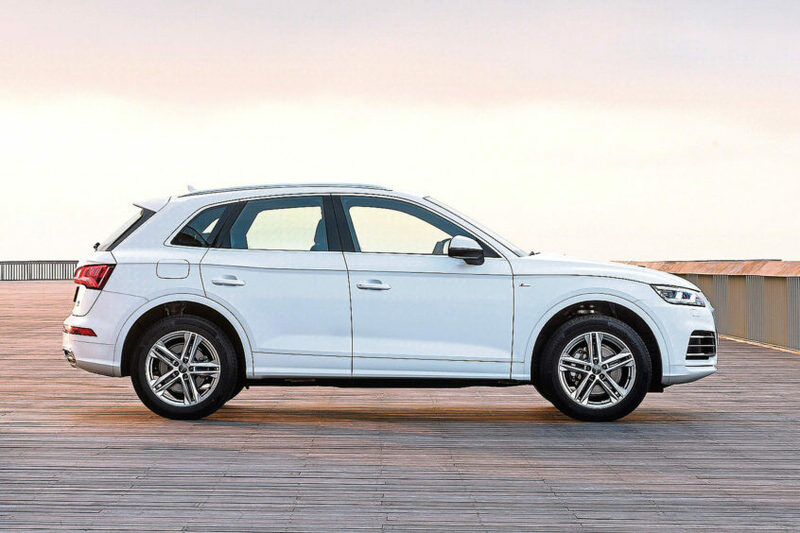 The second generation version of Audi’s Q5 premium compact SUV might not appear to be much different from its predecessor but take it from us: almost everything that could have been improved on this car has been. There’s sharper looks, extra technology and more efficient engines that have reduced running costs. Audi, you see, doesn’t do things by halves. As before, this is the kind of compact SUV you buy if, rather unreasonably, you want something with mastery of the mud as well as the motorway. Something that’ll look great in the driveway, keep you mobile in a snowy snap and shrink around you when a twisting road opens up ahead. It’s a demanding brief that nearly half a million global owners felt was achieved by the original version of this car. But is this latest generation version good enough to take on tougher rivals? Most Q5 customers will want the 190PS 2.0 TDI diesel engine, but low mileage owners shouldn’t discount the much improved 252PS 2.0 TFSI petrol unit. You can also talk to your Audi Centre about a 286PS 3.0 TDI six cylinder diesel. And at the top of the range, the sporting SQ5 variant now switches to petrol power, offering a potent 354PS 3.0 V6 TFSI unit. 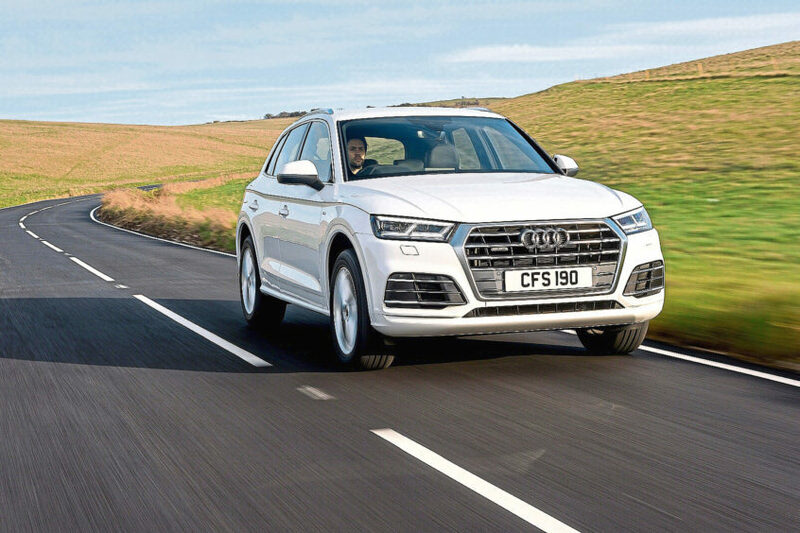 The drivetrain of the second generation Q5 has been redeveloped from the ground up – take the revised six-speed manual transmission and the more efficient seven-speed S tronic auto ‘box for example. The standard quattro 4WD system is improved too, using Audi’s ‘ultra’ technology to always disengage the rear-axle drive whenever it isn’t needed: if necessary, the system can then proactively re-engage it. The most powerful variants can be ordered with an optional sport differential at the rear axle which distributes torque between the wheels for sharper handling. And all models get Torque vectoring for extra cornering precision. Dynamically, Audi has tried to make this Q5 feel sporty yet extremely comfortable. Creating the basis for this are the newly-developed five-link suspension set-ups and also the new electromechanical power steering system. Choose a model with adaptive damping and you’ll be able to tailor the ride quality via the various settings of the standard ‘Audi drive select’ vehicle dynamics system. You can do the same thing with the even more sophisticated adaptive air suspension package that’s available as an option. Those venturing ‘off piste’ will be interested in the two new settings added to the ‘drive select’ set-up – ‘lift/offroad’ and ‘allroad’. Compared to the previous model, this second generation Q5 has grown in nearly all of its dimensions and takes a defined and taut stance on the road. A sculpturally flared Singleframe grille with a solid frame dominates its aerodynamically flat front end. This feature is flanked by headlights that use either xenon or full-LED technology – or buyers can order Audi’s advanced adaptable Matrix LED system as an option. A distinctively curved and strongly undercut shoulder line gives structure to the side view. The strongly emphasised wheel arches are a reference to the quattro permanent all-wheel drive system, and the low greenhouse tapers back down early. The tailgate wraps around the C-pillars – a typical feature of Audi Q models. At the wheel, a three-dimensional trim strip runs across the width of the instrument panel and there’s a re-designed three-spoke multifunction steering wheel. This remains a five-seat model and the rear seat is split into three segments. 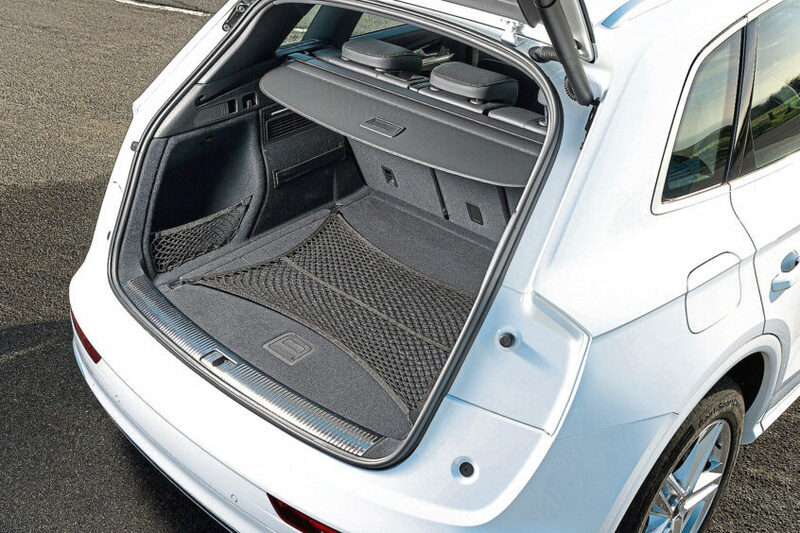 Depending on the rear seat position, the basic volume of the luggage compartment ranges from 550 to 610litres, 10litres more than in the previous Q5. 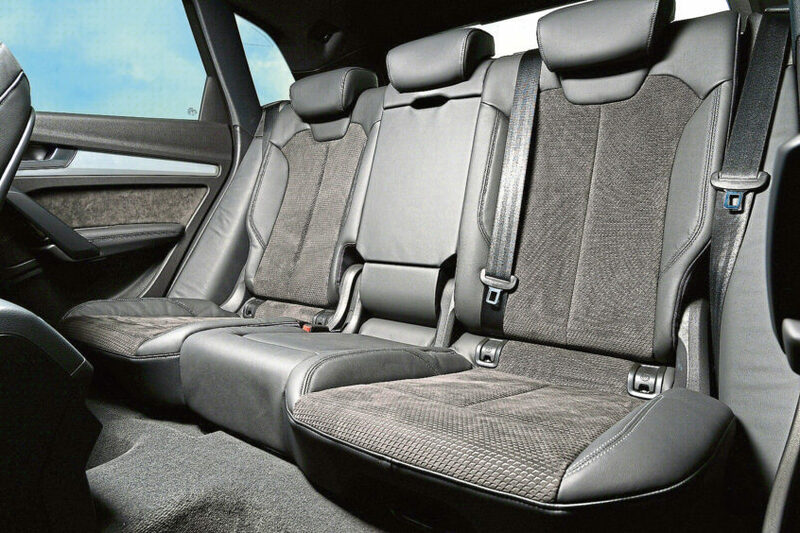 When the rear bench is folded down, this volume grows to 1,550-litres. 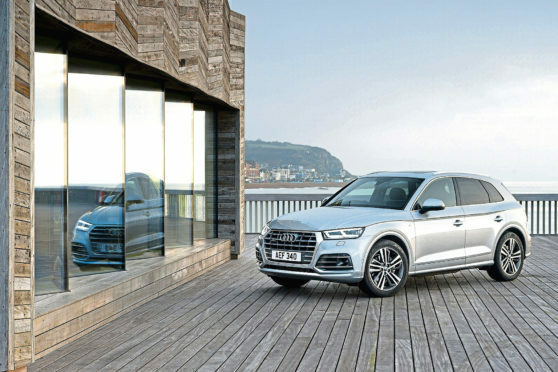 The price positioning of this second generation Q5 hasn’t changed very much, so most mainstream models will continue to sell in the £37,000 to £41,000 bracket. There’s the usual choice of ‘SE’, ‘Sport’ and ‘S line’ trim levels. This time, the key option is the ‘Audi Virtual Cockpit’ a 12.3-inch screen that replaces the dials in the instrument binnacle. The MMI terminal in the centre console acts as the main control element. Many Q5 owners will want to order the upgraded ‘multi-function steering wheel plus’ and some may also want the optional head-up display. The Audi navigation system will also be popular, the latest set-up able to ‘learn’ your regular routes and suggest optimised planning for your next trip. This second generation Q5 has taken a big step forward in terms of efficiency, thanks to a 90kg weight saving over its predecessor. This comes mainly courtesy of the fact steels with maximum tensile strength and aluminium form an intelligent material mix in the body. It also helps in this regard that the MK2 model Q5 stands at the top of its class in its aerodynamics. The four-cylinder versions attain a cd figure of 0.30 with the aerodynamically optimised roof. As a result, even the petrol engines return surprising good running cost figures. The freshly re-developed 2.0 TFSI unit, for example, manages up to 41.5mpg combined, which equates to 154 grams CO2 per km. Whether your destination is Sainsburys or the annual family skiing trip to Crans Montana, you’ll feel better about doing it in an Audi Q5. In between, in contrast to larger, plusher and thirstier 4x4s, you won’t get that nagging feeling of using a sledgehammer to crash a nut when it comes to meeting your real motoring needs. Of course, this second generation model now faces much tougher competition, but the well considered package of changes made to this smarter, better equipped and higher-tech mid-sized premium SUV should keep it very competitive with cars like Mercedes’ GLC and BMW’s X3 in the chasing pack. Certainly it’s not cheap – but then neither is anything else in this segment and at least you’ll get a decent part of your money back at resale time. True, it doesn’t have the showiness of a Range Rover Evoque or the ultimate handling feedback of a BMW X3, but many will still find this Audi a perfect balance between these two. 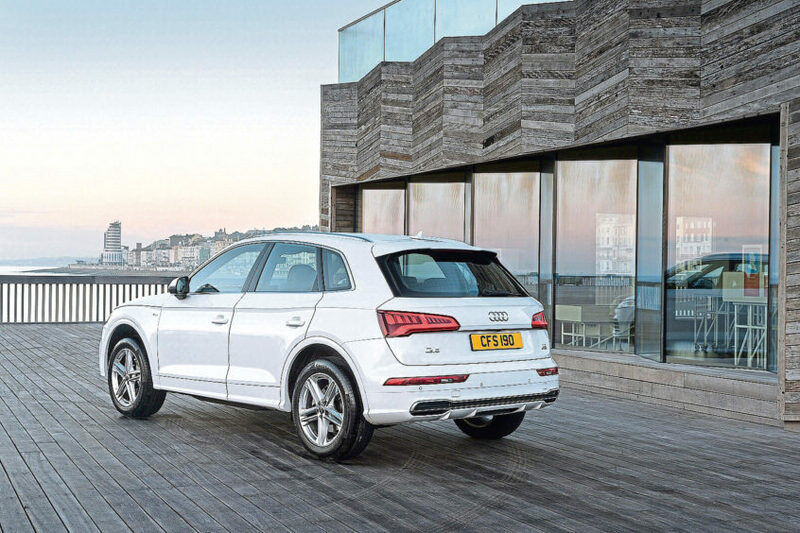 Resolutely hi-tech and resolutely real world, the Q5 remains resolutely right.